I have a sweet tooth. I love chocolate. 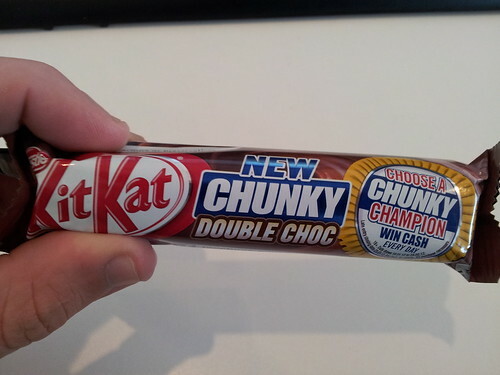 I particularly like a Kit Kat chunky. There's none of this namby pamby four slender fingers. Oh no, this is a brute of a chocolate bar. Akin to some form of confectioned building material. Now imagine my equal joy and pain at four new flavours, of which only one will survive. When I initially saw this I decided it was important to try them all, even if I knew I wouldn't like some. I wanted it to be as scientific as possible. I decided that this would be the order I ate them in. Time for some scientific testing. What a let down. I really had high hopes for this one. Unfortunately white chocolate brought nothing to the party. A standard chunky is more stimulating. This should have been a no brainer. The standard chocolate is good, double it and you shouldn't go wrong. Unfortunately the addition of the dark chocolate added an unwelcome bitterness. By no means as dissappointing as white, but also a bit 'blah'. The surprise package. I wasn't expecting anything from this, which is why it probably did so well. This is the perfect balance between fruit, chocolate, and wafer. It's a shame it's not one of your five a day. This was never going to be the winner for me. I don't like peanut butter. It's far too rich. Curiously if this had been whole peanuts we'd have got on splendidly. What was surprising was that they didn't over do it. It's easy to overload the peanut butter (see the peanut lion bar), however they got the ratio of butter to wafer just right. 1. Orange- the stand out bar. 2. White- despite it's poor showing I'd still have it over the next two. =3. Peanut- As this surprised me it gets elevated to an equal third, rather than dead last. =3. Double choc- There simply wasn't enough to get excited about here. Fiendishly Nestle have decreed that only can survive. A crime against confection in my opinion. You can see the current results here. 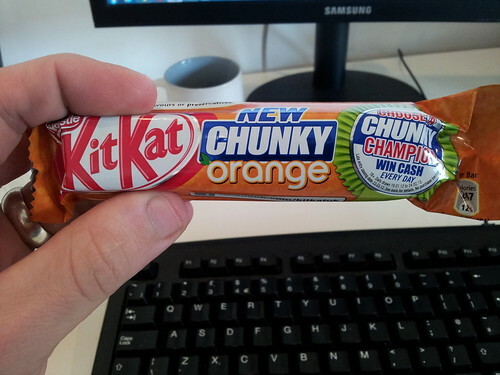 I think it's simply a case that not enough people have sampled the fruity majesty of the Orange chunky. I recommended you grab one whilst you still have the opportunity. No doubt I'll be scouring pokey little newsagents looking for any slightly dubiously dated boxes once these are removed from circulation. 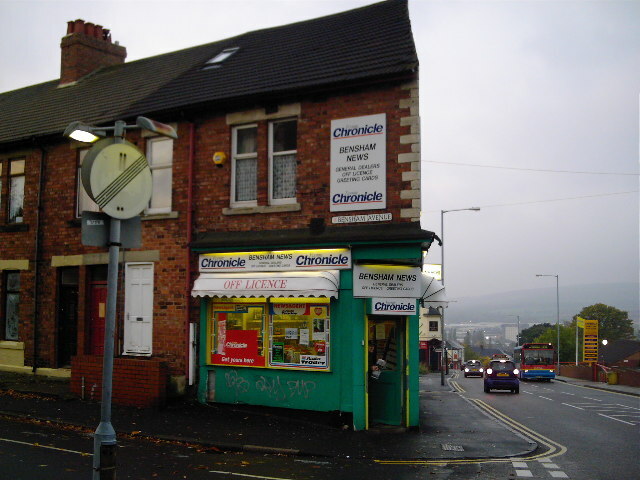 The writer of this blog is taking part in a ludicrously long charity walk for Asthma UK. If you're feeling generous you can kindly sponsor him here. Or buy him some Orange Kit Kat Chunky's for the walk. Peanut - I say this without trying any of the other flavours, although Orange would be my next choice. I will make an effort to make myself even fatter than I already am today and will post back once all have been consumed. In one go. Good man, that's the way to do it. I look forward to the report. I'm a fan of everything chocolate orange and the Chunky did not disappoint. I voted for it as many times as I could, which obviously wasn't enough. Devastated that it came a paltry third! They were all removed from the shelves before I got to try any of the other flavours. Darn you Nestle! I was a fan of all of them, but the white chocolate just edged it for me. The first bite was far too fine. All 4 flavours should become regulars though!